M3M Tee Point is a new commercial project having commercial shop, Retail Shop and other commercial office spaces. This project structured and developed by M3M India, situated at Sector 65 Gurgaon. The location of this project is the prime location of Gurgaon and present time this commercial project is the best project in that location for commercial uses. This commercial project has the close proximity to IGI Airport & Sohna Road and having smart surroundings of other various commercial and residential projects which makes crowd puller in this location. M3M Tee Point spread over approx. 75 acres of area. The builder follows two basic principles to building this commercial complex first is an incredible experience for retail shoppers and second is an effective work environment for office goers. a) Prime Location – Sector 65 well know location of Gurgaon surrounded by another premium and luxury project and township. b) Glazing area for Retail units and Large store fronts. c) Prominently located on Golf Course Extension Road one of the widest roads in Gurgaon. 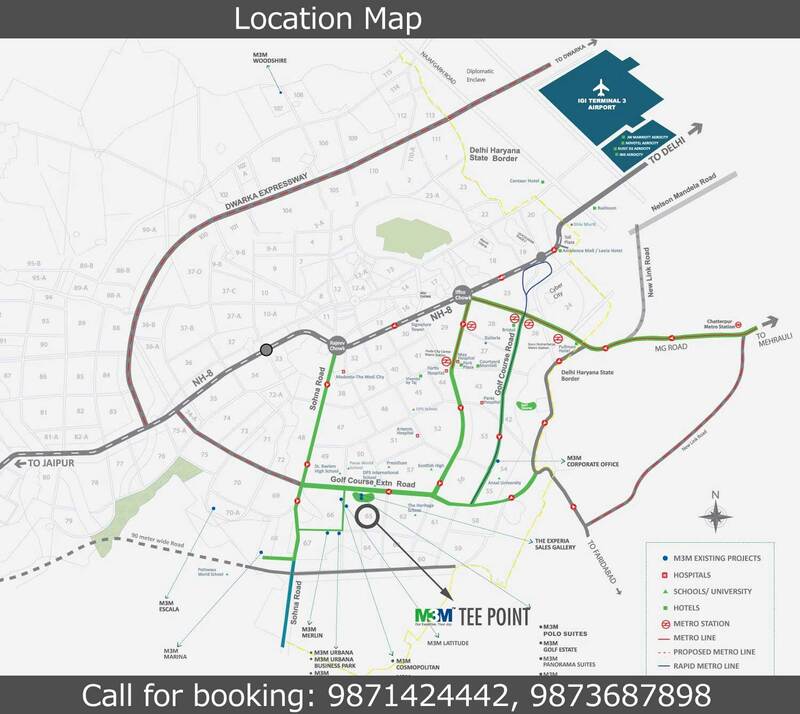 d) Located on the proposed Metro corridor, offering fast, convenient and comfortable connectivity to Delhi, easy accessibility to NH8 as well as to South Delhi via Gurgaon Faridabad expressway. M3M India is an Indian Real Estate company and largest real estate developer in Gurgaon. M3M Groups offering Commercial and Residential projects in Gurgaon location. The M3M Group owns approximately 2000 acres of landscape in Delhi/NCR.